Lunch: We tried out Satellite Bistro and Bar (5900 Slaughter Ln W # 400, Austin, TX‎ - (512) 288-9994‎) in Escarpment Village for lunch. I started with the fried calamari appetizer. 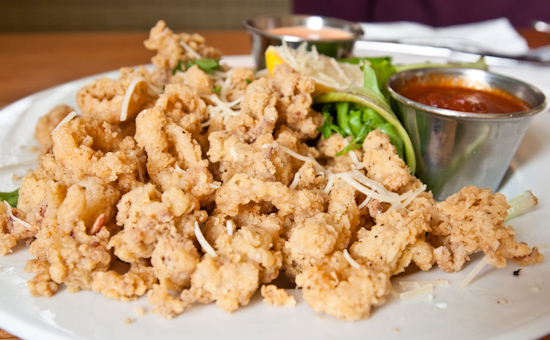 We thought there was a bit too much breading and, although light and fluffy in texture, there was too much of it for the calamari to feel light. The breading could have had some more seasoning - most of the pieces I ate were fairly bland with an occasional salty piece. 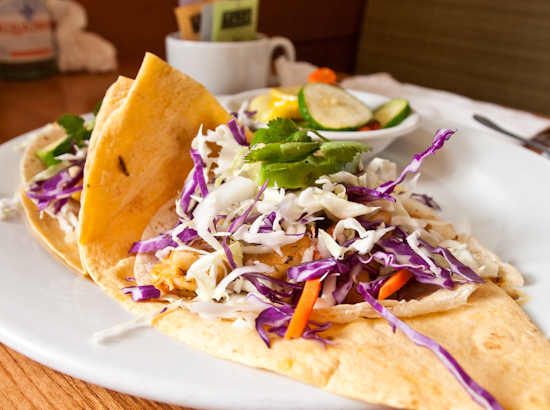 I had the fish tacos which were mediocre. 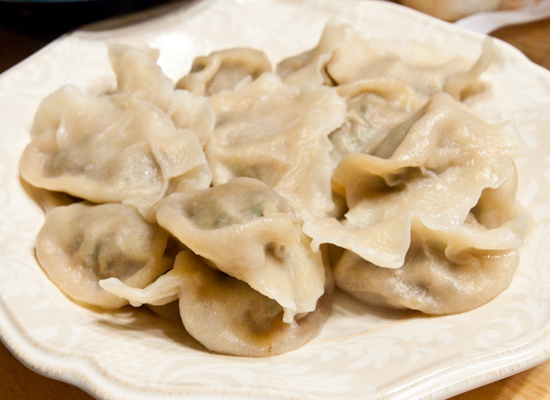 Dinner: Tina's parents had us over to their place to eat boiled pork and shrimp dumplings.